Mollerussa: 15 ha. It has three cold stores, a fruit classifier and two weighing lysimeters. Authomatic irrigation system. 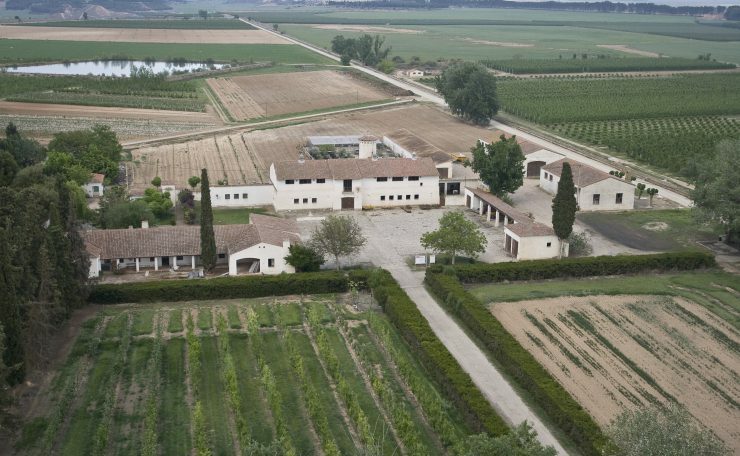 Gimenells: 45 ha, 1500 sq. m. of storages, workshop, 2 insect-proof greenhouses covering 1200 sq. m. and a 200 sq. m. greenhouse with plastic roof. Authomatic irrigation system. Home of the experimental cuisine workshop “La Vaqueria”, with restaurant service open to the public. Borges Blanques: 9 ha. Authomatic irrigation system. Space shared with Borges Blanques ECA, with residence, meeting rooms, conference rooms, canteen, etc. Experimental fields in partnership, specially the ones in Ascó and Llesp, perform demonstration activity through agreements with other institutions. Offices and equipment for IRTA staff in Lleida.